Mt Hood, 11,240 feet high, is the highest peak in Oregon and the fourth highest in the Cascades. Home to twelve glaciers, the evidence of summer heat is present in this picture with the low snow cover. 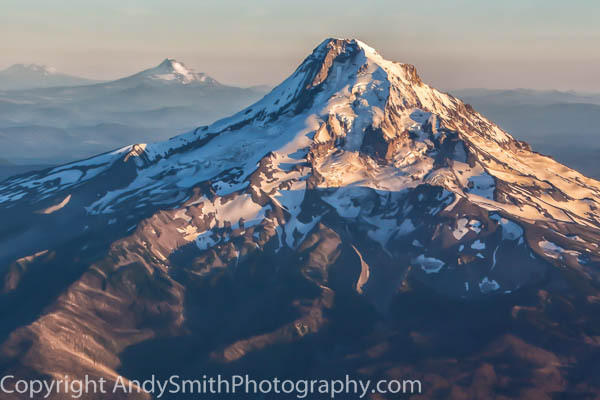 This view is taken from an incoming commercial flight into Portland which is less than an hour's drive to the West of the mountain.